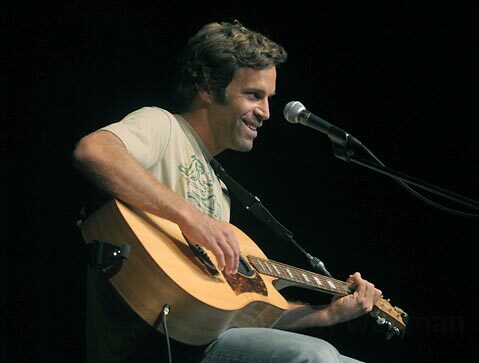 Jack Johnson at the Arlington Theatre on Saturday, October 10. 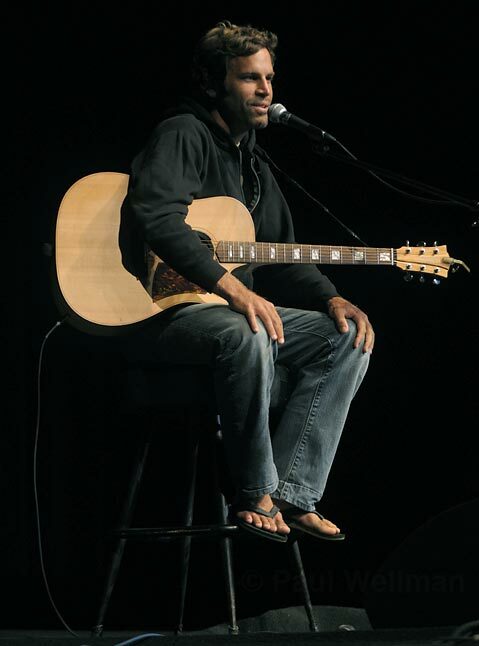 That was the biggest surprise at Saturday night’s world premiere of Jack Johnson: En Concert, the new film about the surfing-and-singing star’s 2008 European tour. Well, that, and the fact that Jack even made a last minute musical appearance at the Arlington Theatre, a surprise showing that was announced less than 24 hours before the event began. 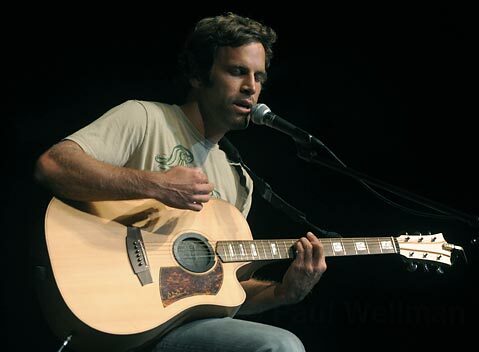 Jack Johnson shows off his new 'do at the Arlington Theatre on Saturday, October 10. The usually shaved headed performer shocked the crowd when he appeared on-stage before the film – and after a lively fundraising raffle – with director-friend-manager Emmett Malloy, causing many to wonder who the thick-haired dude was. But once Jack started chatting in his recognizably deep-smooth voice, it became clear that Santa Barbara’s shiniest star – a UCSB grad and occasional Montecito resident – had decided to let his locks flow. 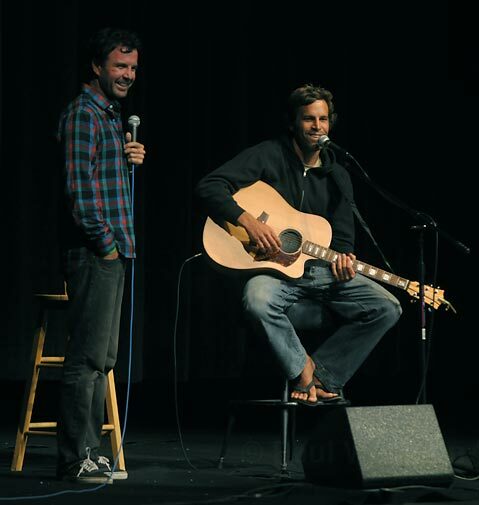 Director Emmett Malloy takes questions from the audience after the world premiere of <em>Jack Johnson: En Concert</em>, along with his friend Jack Johnson. After the 80-or-so minute film came to an end, director Malloy took to the stage and fielded some questions from the audience. Minutes later, Jack was back, with guitar in hand. Taking a seat on a stool, Jack then went into a very intimate, casual, and often quite funny set, forgetting words to his hit songs, engaging the audience as much as possible, and being the genuine nice guy he’s somehow managed to remain despite fame and fortune. It was one of those magical you-had-to-be-there moments to go down in Santa Barbara lore, the cheapest (tix were $12), most stripped down Jack Johnson concert since his days playing Restaurant Roy on Carrillo Street in the very late 1990s.